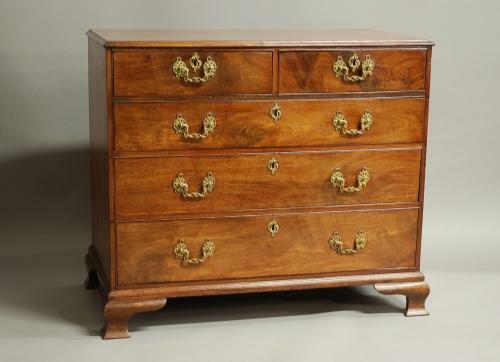 This chest of drawers has a solid mahogany top with applied moulded edge andÂ two over three drawers, all with oak linings. The mercury gilt handles and escutcheons are original and are of superb quality. The back is pine and finished with a red size and the piece terminates with ogee feet.